Gogebic Taconite (GTac) President Bill Williams will likely be brought to trial in Spain for his part in the environmental crimes allegedly committed by the Cobre Las Cruces (CLC) mining operation while he was a senior manager of the company, according to court documents obtained from Ecologistas en Acción (EIA). One of the complaints filed with the Spanish courts alleges that Williams, who went to work at CLC in 2006, failed to follow official technical standards relating to the grade of mine wall slopes set forth by CEDEX (a policy, research and training agency of the Spanish Ministry of Public Works). The complaint further alleges that Williams’ decision to ignore these standards resulted in the collapse of the walls of the mine. The new technical specifications were put in place after one of the worst mining disasters in recent European history. In 1998, a holding dam burst at the Los Frailes mine, releasing 4–5 million cubic meters of mine tailings containing dangerous levels of several heavy metals into the River Guadiamar, the main water source for the Doñana National Park, a UNESCO World Heritage Site and one of the largest national parks in Europe. The cleanup operation took three years, and cost an estimated $300 million. According to an April 2008 report, in 2002 CEDEX determined that if CLC implemented the plan that they presented to regulators, a collapse would be inevitable. Ecologistas en Acción began documenting the violations of the CEDEX standards relating to wastewater and mine wall slopes, including photographing the grade of the slope, and reporting them to the two government bodies responsible for mining regulation, the regional government of Andalusia and the Guadalquivir Water Authority. In early April, 2008 some of EIA’s complaints resulted in the suspension of CLC’s wastewater permit. Later that month the mine walls collapsed. After the collapse of the walls of Cobre Las Cruces. Photo: Ecologistas en Acción. Note the scale of the trucks in the lower right corner. Williams’ alleged refusal to follow the CEDEX official technical design standards and the catastrophic mine wall collapse that resulted from that refusal are directly relevant to the proposed 1000-feet deep, 22-mile open pit iron ore mine GTac wants to build in the Penokee Hills. 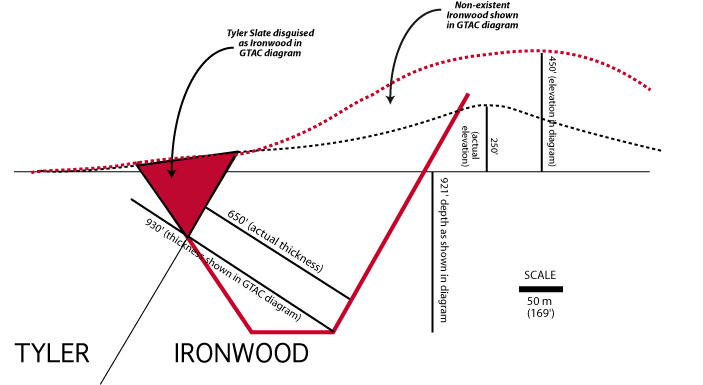 GTac claims it intends to mine low-quality iron ore in northern Wisconsin from beds tipped at 60˚or more. Mining such a deposit at a profit, if even possible, would require reducing mining expenses to a bare minimum. However, the less steep the slope of an open pit mine’s wall, the larger the volume of rock that must be removed to excavate to the same depth. 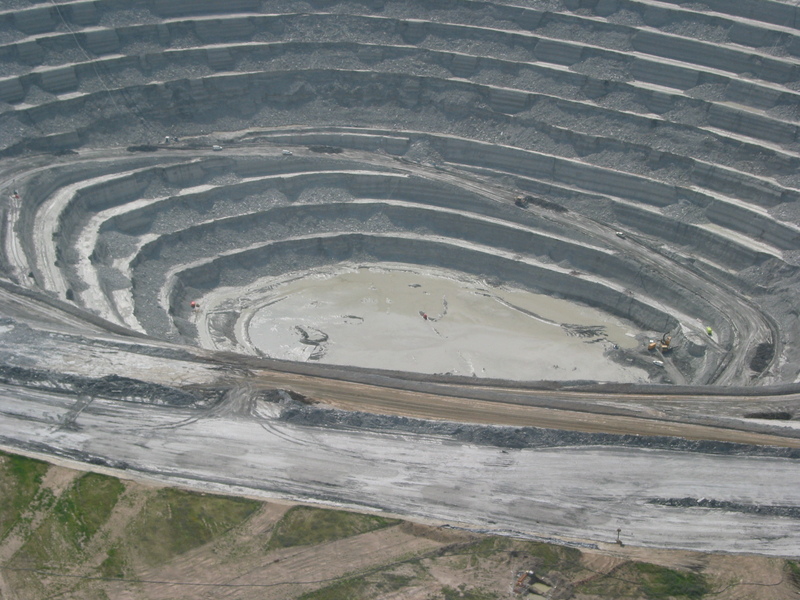 In a very deep open pit mine, such as the one GTac is proposing, any decrease in the slope of the mine’s walls required for safety would greatly increase the volume of waste rock excavated, thus adding to the mine’s expense. The north wall of the proposed Penokee mine in the Tyler Slate would be particularly expensive. According to Dr. Marcia Bjornerud, professor of geology and environmental studies at Lawrence University with a PhD in Structural Geology and Rock Mechanics who has studied the geology of the Lake Superior region for the past 25 years, the Tyler Slate is probably too weak to support a steep wall, yet it also is contains significant sulfides, requiring expensive special handling and disposal if the risk of acid mine drainage is to be mitigated. As president of GTac, Williams would be under enormous pressure to reduce expenses, and the temptation to do this by keeping the mine’s walls steep—a temptation Williams apparently could not resist in Spain—would be strong. GTac was caught changing the map of the mine site by exaggerating distances and heights, thus attempting to disguise the sulfide-rich rock exposed on the north wall of the mine. GTac has already been caught attempting to discredit Dr. Bjornerud by doctoring the maps of the area to make it appear that the sulfides in the formation are not located where they actually exist. In collusion with state legislators, GTac officials have tried to legislate away the presence of pyrite. They also claim in their pre-application notification to the Wisconsin Department of Natural Resources that there is no asbestos in the hills. They have maintained this claim even though an abundance of asbestos was recently found by the DNR and confirmed by Northland College Professor Dr. Tom Fitz and others. These might all be construed as attempts to minimize the potential costs that will be required to properly handle the enormous amount of toxic wastes that will result from the proposed mine. On February 17, 2012, when Williams testified at the Joint Finance Committee public hearing on AB426 (the first draft of the mining bill), he was asked by Sen. Bob Jauch (D-Poplar) why the bill had no “off ramps” or ways to slow the project down if the work could not get done in time, or in the event of unexpected circumstances. Williams replied that it is up to him to get the Penokee mine “right the first time.” State legislators influenced by GTac have urged the Wisconsin public to trust GTac to do this. However, Williams’ actions at the CLC mine clearly raise more grave doubts about the wisdom of such trust. 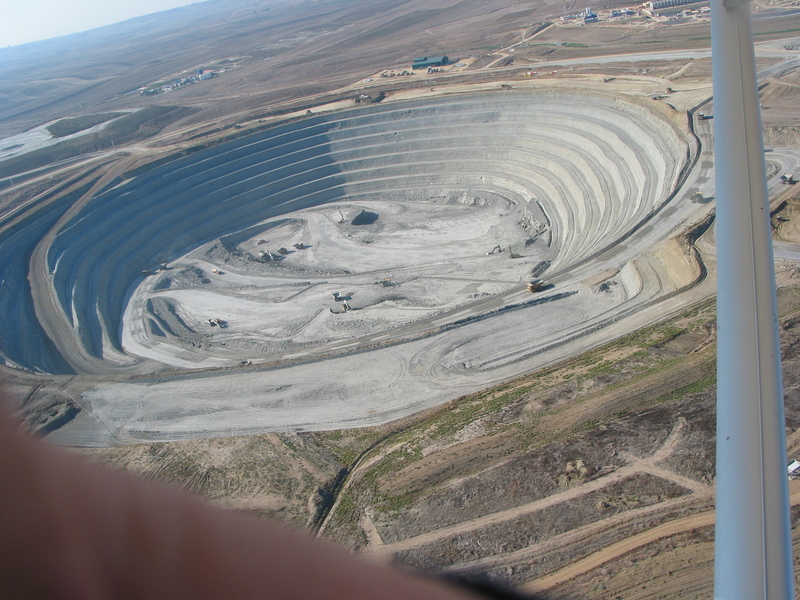 The mine will fill the air with asbestos fibers and the water with acidic runoff. Governor Walker thinks this is a great idea. Walker is the poster child of industrial genocide. Once he has had his way with the residents of Ashland County, will your county be next ? The prevaricating pimps of the Wisconsin Mining Association in collusion with Wisconsin Manufacturers & Commerce have declared Ashland and Iron Counties to be sacrificial resource colonies. They have misrepresented the facts and their intentions at every step of the process thus far. They have deceitfully tried to ignore local governments, or maneuver them into illegal contracts. They have used monetary influence with the governor and legislature to remove legal obstacles as they are encountered. They have illegally brought hired mercenary military forces to guard their deceitful enterprise from those who choose not to accept the new status as collateral damage in a sacrifice zone. The people, the land, and the waters of this area are to be sacrificed for short term profit. Any damage to the people, the land, and the waters are not costs that will be listed on their ledgers. The land does not count toward the final tally. The water does not count toward the final tally. You, the people do not count toward the final tally. This is the mindset of these prevaricating pimps of mining. You are merely a temporary nuisance. You do not count. You and your home are not worthy of consideration. Will you accept that?